I used to go all out decorating for Easter, but, as I’ve gotten older and wiser, I’ve learned to say no to Pepto-Bismol pink plastic baskets and bears in rabbit ears. I haven’t been able to kick the seasonal decorating habit altogether; but (I like to think) I’m a little more discerning in what I collect and keep. I have a little flock of oddball sheep that, like a lot of the things that I collect, are not particularly old or valuable, but I absolutely love them. They all came from thrift stores and garage sales. I think it’s their quirkiness that appeals to me. That and the fact that none of them is Pepto-Bismol pink. … and by “new” I mean “new,” not just “new to me” (which is what I usually mean when I say something is “new.”) My general rule is that I only buy holiday decorations secondhand, mostly because I prefer vintage, but also because I don’t want to spend a lot of money on seasonal items that I’m only going to display for a few weeks a year. So when I break my secondhand rule, it’s on something that I really love. In addition to my sheep and rabbits, I have a few chickens I set out in the spring. The green glass ones (above) go in a hutch in my dining room. My Pot Rooster (below) goes on the stove. It has a plastic top, so it can’t be all that old, but I love the graphics on it. I bought them from the Pamida store I worked at when I was in college in the late 1980s. The insides are just as beautiful as the outsides. The type says “Made in German Democratic Republic” (which we knew as East Germany back in my college days). The Berlin Wall fell in November of 1989, and Germany was officially reunified the following year. So, even though the eggs were new when I bought them, they have a bit of history to them and would probably be considered “vintage” today. I would love to find a lamb and a duck that I could swap out one of the chickens and one of the rabbits with, so the pyramid doesn’t have duplicates. But until I find them, these will do. Happy Easter from the flock. The full-size versions do nothing for me (except for grown-up puppies, of course). But when something is shrunk down to a tiny percentage of its full-size self, I can’t get enough of it. Case in point: miniature sprinkler cans. I find them at thrift stores all the time, and I have to say, in my book, they are the best thing since miniature sliced bread. I think my favorites are the galvanized cans. … but I like the painted ones, too. I decoupaged the bee (crookedly) onto it. The one below isn’t really a sprinkler can, but it’s close enough. … so I made some. I found an old box of invitation envelopes that were about the right height, and I figured if I cut them in half, they’d be about the right width too. …and trimmed off the flaps on the back. The Graphics Fairy provided some fabulous old-time vegetable images that I added my own verbiage to in Photoshop Elements. I trimmed the images to fit and folded them in thirds around the envelopes. I admit I have a huge soft spot for kitschy flocked holiday decorations (which is why I own these chicks in the first place). But I don’t do pastels anymore. And most Easter decorations are some baby-soft shade of pink, purple or, like my little chicks, yellow. … which left me with three naked, slightly scary looking plastic chicks. I grabbed a stack of old newspapers and a container of Mod Podge to proceed with the makeover when The Boss showed up. I swear that cat has a sixth sense. He can be on the other side of the house — or the other side of the planet — but the minute I set a bowl of cereal or an open container of Mod Podge in front of me — BOOM — there he is. Blocking me from eating/decoupaging and shedding his fur all over my breakfast/project. I decoupaged the chicks in three parts: the wings and tails first, then the breast area and finally the head, using different parts of the newspaper as I went along. … and I forgot to factor in the additional time involved in removing each of the individual cat hairs that kept appearing in my Mod Podge. I debated whether the chicks should have eyes or not. But they looked a little freaky being eyeless. So I popped the original plastic eyes back in initially. After I was done with all of the decoupage, I scrounged around the house looking for other alternatives to use for eyes and found some old brads that were the right size. I thought the brads gave them a more vintage industrial look that matched their new personalities better than the plastic eyes. Then I painted all of the beaks orange to match their feet. After a few touchups and a light coat of watered down white paint over everything, the chicks were done. I dug out some dried moss and glass jars and started playing around with ways to display the chicks. Does anybody else see Dumb Donald from “Fat Albert” when they look at the chick above? Anyhoo, I liked how they looked under glass. I think he was disappointed to see there was no open container of Mod Podge anymore, so he quickly stalked off. Old wooden cutting boards are the Rodney Dangerfields of the thrift store. They get no respect. They’re generally sitting on the back of a bottom shelf somewhere with a pile of mismatched Corelle and frayed wicker plate holders on top of them. And if you go to the trouble of digging one out, it’s probably priced at a quarter or 50 cents. Most shoppers don’t even bother to look at them. Because who wants a nasty old dried-out, scarred-up wooden cutting board? Personally, I think old cutting boards are beautiful, even if they are gouged up from years of use. In fact, especially if they are gouged up from years of use. Scratches and scars add character. I never set out to collect cutting boards. But I kept seeing them on the bottom shelves, under the stacks of Corelle. And something about the simple beauty of their clean lines and rounded edges spoke to me. So I bought one, and then another, and pretty soon I decided that whenever I found a sad case for a dollar or less, I’d give it a home. So that’s what I do now. I always wash my “new” cutting boards in hot, soapy water (with a little bit of bleach added) to clean and sanitize them. Then I rub them down with mineral oil. Usually the mineral oil — which is non-toxic/food-safe (and dirt cheap) — soaks into the old, dried-out wood immediately. Most of my cutting boards are a simple, no-nonsense style with a handle at the top. But a few have fancy inlaid wood designs. Probably somebody’s high school shop class project, cast off to the thrift store when Mom decided she didn’t want it any more. And I have a couple of small pieces that are technically trivets, not cutting boards. Just look at the intricate designs. I think they’re absolutely gorgeous. … which is another thing I didn’t set out to collect but seem to have acquired quite a few of over the years. I do NOT collect glass jars or bottles. Really. I don’t. If you asked me what I collect, I could easily name 20 things off the top of my head, and glass would not be on the list. … or going gaga over all the green bottles for sale. Yet somehow my house is full of glass. I’m really not even sure where most of the jars and bottles came from anymore. Honestly, Bath & Body Works could have sold rat poison in those bottles and I still would have bought them. At any price. Thankfully (for my bank account), Bath & Body updated that line a while back, so the current bottles are a different style and shape (and I think some of them are even — shudder — plastic). As for the rest of my non-collection? All I can say is that the pieces were accumulated so gradually and so by happenstance over the past 20+ years, I hardly even noticed the trend. I would just pick up a jar here and a bottle there as I was out and about and would stumble upon a piece that spoke to me, usually something vintage or vintage-style and usually for just a few dollars (at most) at a garage sale or thrift store. And then when I’d get my new old piece of glass home I’d realize, “This apothecary jar matches that one.” Or, “This bottle is the same color as that vase.” So I’d group things together. But they are most definitely NOT a collection. They are just a group of objects that I have accumulated that happen to share similar characteristics. Technically I did venture into Mexico one time when I was in college, but that was an accident, so it doesn’t count. I was driving in Laredo, Texas, and was looking for the mall there when I missed a turn and ended up in a lane of cars that was crossing the border whether I wanted to or not. Turns out it was easy to get into Mexico back then (1989 — no passports needed); getting back out proved to be a little more difficult, but that’s another story. On this trip, I crossed the border — on purpose — with my husband, our travel agent and 157 other sun-starved Wisconsinites. We stayed at the Iberostar Paraiso Lindo resort in Riviera Maya, which was lovely. It was 80 degrees and sunny everyday. And the views were breathtaking. But the wifi was terrible. You had to be in the lobby to get any internet access at all. And even there, it moved at a crawl. I trekked down to the lobby to check email most mornings and found myself suffering from 1999 dial-up flashbacks as I waited for web pages to load. It was awful. Try as I might, there was just no way I could write blog posts under those conditions. I’m sure you’ll all understand the hardships I was facing and take pity on me. I don’t know if I’ll ever recover from the trauma. But in the interest of science, I would be willing to go back again next winter to judge if there are any improvements in web connection speeds over the course of the year. Because I’m selfless that way and just want to do my part to make the world a better place. In the meantime, let me fill you in on a little of what I was doing last week when I wasn’t blogging. Mostly, I was hanging out at some of the spots pictured above. But we did get off the Iberostar campus a few times. We went ATV-ing in the jungle and speed boating in the Caribbean one day. Jim’s idea. I am more of a coffee-shop-and-museum kind of girl, but I make a point of doing at least one thing that scares the Starbucks out of me when we are on vacation. On another day, we took a bus trip to a few historic sites on the Yucatan, including Hubiku, a “cenote” or sinkhole with a natural spring in it that the ancient Mayans considered a sacred place. Visitors are allowed to swim in the spring water. But, frankly, as it was in an underground cave, which was a bit dank and musty (the smell reminded me of the dirt-floor cellar in the old farmhouse that I grew up in), we passed on the swimming. I tried the chocolate-flavored tequila. And then the cherry. And the mango. And then the chocolate again. After lunch, we got back on our bus, where our tour guides passed out more tequila to us while we rode to the famous Leaning Temple of Chichen Itza. The temple is called El Castillo or the Temple of Kukulkan. It’s the centerpiece of the Mayan ruins at Chichen Itza. Tourists were allowed to climb the steps to the top until eight years ago, when the powers that be finally decided it was causing too much wear and tear on the ancient stone. A woman in our tour group had an apple with her that she shared with one of the locals who was also spending the day at the historic site. The apple soon attracted the attention of several others who had been lounging nearby. Vendors lined up tables full of souvenirs flea-market style in between the ruins (and the iguanas). A lot of the items were handmade, and everything was cheap: $1 for most of the smaller trinkets, $5 for T-shirts. I would have loved to have spent more time looking at the crafts, but my traveling companion was cursed with a bout of Montezuma’s Revenge by the end of the tour and was in no condition to stand in the hot sun while I picked out tchotchkes. He felt better after we got back on the air-conditioned bus. But judging by the blurry finger he appears to be preparing to raise, I think he was a little annoyed with me for waving the camera in his face all day. After Chichen Itza, we stopped briefly in the city of Valladolid to see an old Spanish church. Then we were on our way back “home” to Riviera Maya. En route, we got to see a whole different side of Mexico: lots of cinder block buildings, narrow streets, corrugated tin (or straw) roofs and small stores and restaurants. As you may have noticed, I took lots of pictures on our trip. It couldn’t be helped. Everywhere I looked, there was something begging to be photographed. Like the adorable little coatis. (We called them Mexican raccoons.) They are wild animals, but have obviously adapted to living amongst the tourists at a luxury hotel. They were very friendly. Especially if you had french fries. On our last night at the resort, we took a picture from the balcony in our room. Hollywood’s got nothing on my mom. The 25 8-millimeter films above are all Joyce Friese productions, shot on an old Kodak Brownie movie camera between 1963 and 1973. Isn’t she cute? Mom didn’t own the movie camera yet (in fact, she wasn’t even a mom yet) when the above photo was taken (I believe in my Grandma and Grandpa Harmsen’s kitchen). She would have only been 19 years old and married to my dad for just over a year in 1956. I think my sister has Mom’s Brownie still camera (from the picture) today; but the movie camera no longer exists. The manual that came with it, though, was packed away in the same cardboard box that Mom stored the family movies in. It’s a treat to page through (even though it’s not in the best of shape). It’s filled with lots of photos and diagrams explaining how to use the camera. It even offers instructions on how to take a movie selfie. For the most part, the films are pretty standard family movie fare, featuring highlights of birthdays and baptisms, holidays and hay-making. The production values are a bit lacking, and there is no sound. The early ones are in black and white. But they’re a piece of our family history, and I am so glad Mom documented the important events in our lives. When we’d have family movie nights when I was a kid, we’d sometimes watch the films forward and backward (because they had to be rewound back onto the original reel anyway). My brothers and sister and I thought it was the funniest thing in the world to watch the movies of Dad and Grandpa Friese mowing and baling hay in reverse. Most of the films are on small reels, but a couple are on larger ones that can hold up to 400 feet of film (which takes about half an hour to watch). Mom used a splicer to cut out the parts of the films that didn’t turn out and also to combine a number of the smaller reels onto one larger one, so we wouldn’t have to constantly be changing reels when we watched the movies. The splicer is still with us, in the box with the movies, and in like-new condition. Also in the box were a few of these “You’re the Director” pamphlets that the Kodak lab must have included when they sent back the processed film. Even though my mom was the filmmaker in the family, my dad’s name appears on the “customer” line on the form that was attached to each box when the film was sent out to be developed. Mom always bought film at Stoffel’s Drug Store on Main Street in Waupun. The movie camera and projector that we used to view the films came from Stoffel’s, too. I don’t remember Stoffel’s, but I found this postcard of Main Street in Waupun, in what I’m guessing was the 1960s, judging by the cars. (There’s no date on the postcard.) The Stoeffel Drug Store sign is hanging on the south side of Main Street in the building that Radio Shack is in today. My parents also bought their first Polaroid camera from Stoffel’s, and the clerk who waited on them took a picture of my dad and my sister in the store to show them the miracles of the Polaroid Land Camera. (You snapped a picture, pulled it out of the camera, waited 60 seconds and then peeled the paper off and, voila: instant photo.) I believe that picture still exists somewhere in the Friese family archives, but I looked high and low through my mom’s house last weekend and couldn’t find it. I would have loved to have included it in this post, because in addition to featuring Dad in his cool horn-rimmed glasses, the photo offered a glimpse of the inside of the store back in the day. Mom gave the old projector to my son recently, and he has it displayed in his movie-themed apartment (which I blogged about here). Unfortunately we haven’t watched the movies in a long time because the bulb in the projector is burnt out. But I have been scouring eBay for replacement bulbs in between writing this post, and it looks like there are a few out there. So hopefully we can revisit some of Mom’s best work (like “Summer of ’69” and “Lisa’s Baptism”) again soon. Humor | What’s in a (blog) name? If you ended up here after typing “Wisconsin Magpie” into a search engine in hopes of finding information about an elusive ornithological species — and now you’re wondering why you’re up to your binoculars in stories about a woman buying other people’s detritus and building toy robots in her basement — I apologize. It’s just a pretty picture of a bird to break up the text. Setting aside the merlot (carefully, so it doesn’t spill), I would like to point out that my naming options were limited. By the time I started this blog, all of the really great domain names — Funky Junk, Chronically Vintage, Shanty-2-Chic, Remodelaholic, Design Sponge — were already taken. Most of the really awful blog names (which I won’t list here because we Midwesterners are too gosh darn polite to talk smack like that) were also taken. 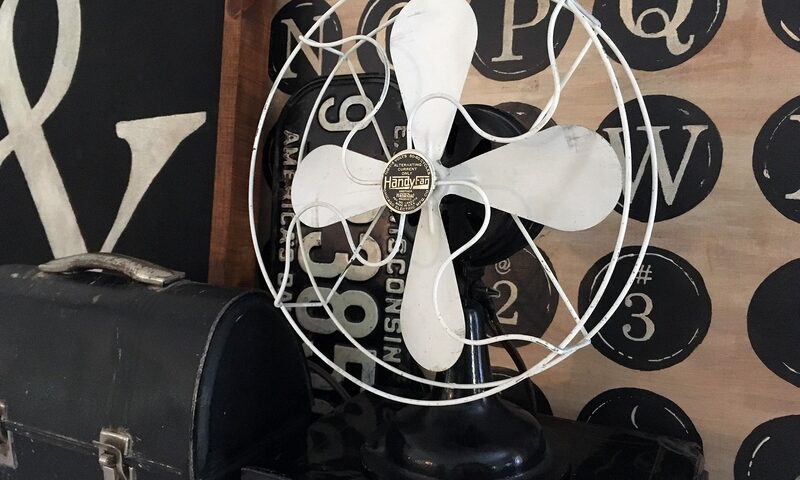 Fortunately for me, Wisconsin Magpie pretty accurately sums up what this blog is about: I’m a Wisconsin girl through and through, and I like to collect odd things for my nest, much as I have heard the birds of the same name do. In addition to our passion for collecting, there are other similarities between me and my feathered friends. For example, we are both attracted to shiny objects, we’re both a bit territorial and we’re both smart enough to be able to recognize ourselves in a mirror (unless, of course, one of us has been dipping our beak into the merlot again). Furthermore, bird magpies are known for their screechy, squawky, annoying call. And anybody who’s ever had the misfortune to sit next to me at St. Jerome’s on Sunday morning knows that that is also an accurate description of my singing voice. So to the visitors who came here expecting to read about home decor, thrift store finds and vintage collectibles, I’m sorry for boring you with this (scientifically suspect) ornithological lesson. And to the confused birders who bothered to read all the way to the end of this post and still don’t know why you’re here, I would like to apologize once more for leading you astray with the name of my blog. But I hope you both will come back and visit again sometime because this is the only place where you can learn about the peculiar nesting habits of the (human) Wisconsin Magpie. … by which I mean, in August of 2014, in Milwaukee …. … my son and his girlfriend moved into their first apartment together and decided to decorate it in a movie theater theme. I made the Now Showing sign for them that I blogged about earlier. Everything else they made or bought themselves. Yes, those are genuine red velvet theater seats around the dining room table. JT and Anna bought them from an old theater that had gone out of business. The chairs were still bolted to the floor and attached to the adjacent seats when they went to buy them, so they had to do a little disassembly work before they could even take them home. JT built a platform for each chair out of 2x4s and attached casters to the platforms. Then Anna gave the wood and metal parts a fresh coat of gold paint. The seats are a little banged up in spots from years of wear and tear, but they still flip open and closed. The casters make the chairs easy to move, so they can be pulled away from the table and wheeled over to the big screen for extra seating there. The curtains were fashioned out of tablecloths and tacked to the wall. Opposite the screen, JT built a shelving unit that holds their projector. He hooked their surround sound, GameCube, XBox, computer and TV cable into it. The rest of the shelving unit holds a mix of modern equipment, movies and vintage memorabilia. I made the clapboard as a prop for a kids play a few year back. The old film reels were picked up at garage sales and thrift stores over the years. (There are more sprinkled throughout the apartment.) And the vintage movie projector on the right belonged to my parents when I was a kid. The inside cover of the old projector, which still has the operating instructions attached to it, is displayed on another shelf. Elsewhere in the apartment, JT and Anna have an old-time snack bar set up. Anna found the piece in an antique mall. It was originally a jewelry display case. When she bought it, it was painted a light blue, and some of the glass was missing. She replaced the glass, added shelves, cleaned it up and painted it black, then filled it with traditional movie snacks. It’s actually a pencil sharpener. (The sharpener part is on the back.) For a miniature, it’s got a lot of great details: The reels on the top even spin. Did I mention JT is a film major?